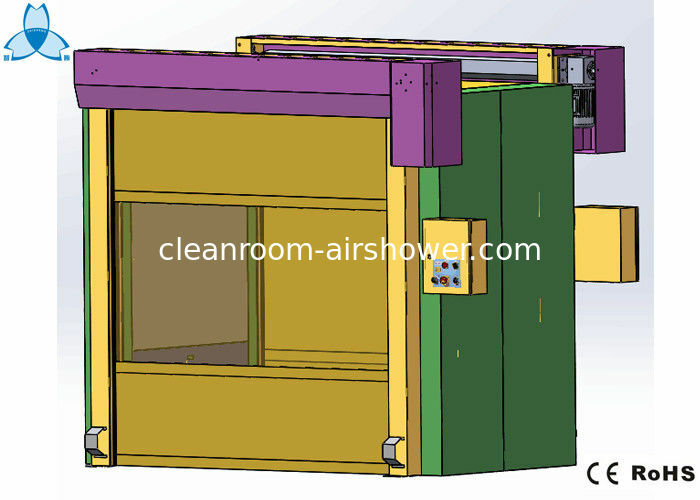 It is usually for a large air shower for many people or cargo curt. 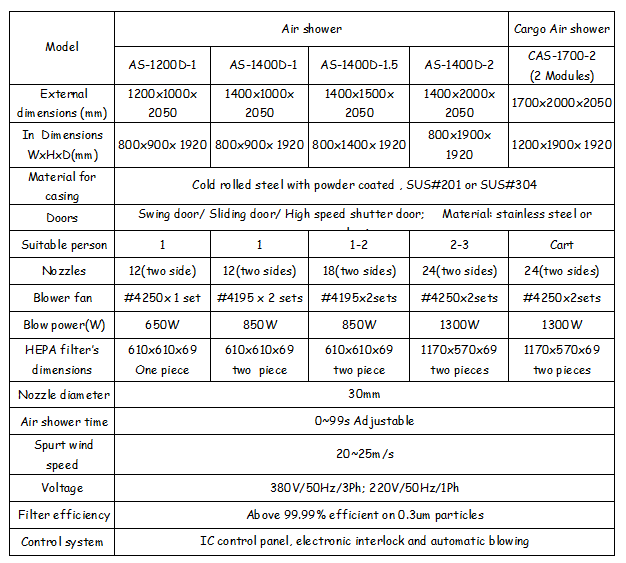 Automatic sliding door cargo air shower design is based on the traditional cargo air shower room, equipped with advanced infrared sensor automatic door opening system, automatic sliding door cargo air shower compared with traditional cargo air shower is door closers canceled, so truly fulfill cargo air shower automated. 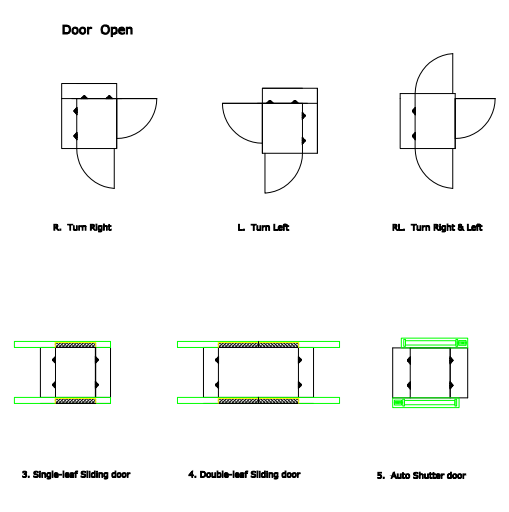 Person or goods enter into the infrared sensing area auto-sensing, the entering sliding door automatically open and close, person or cargo into dust blowing once completed, the exit sliding door will automatically open and close. 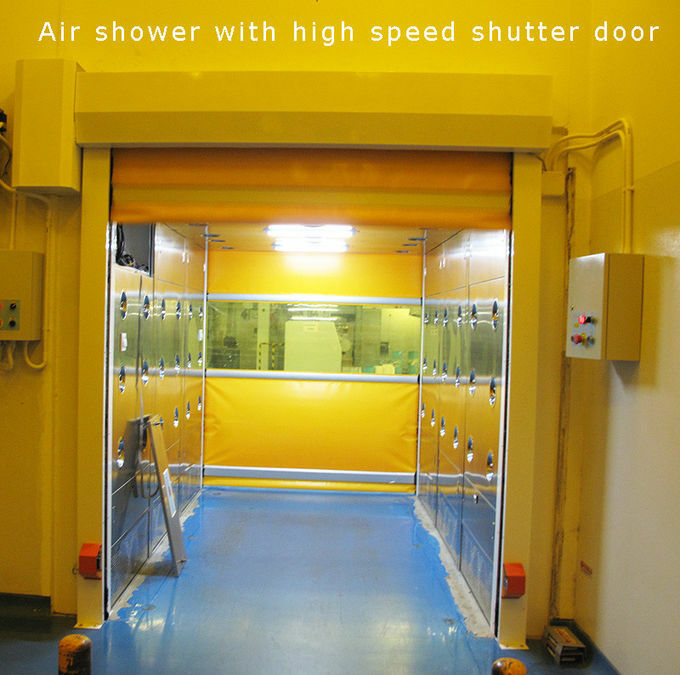 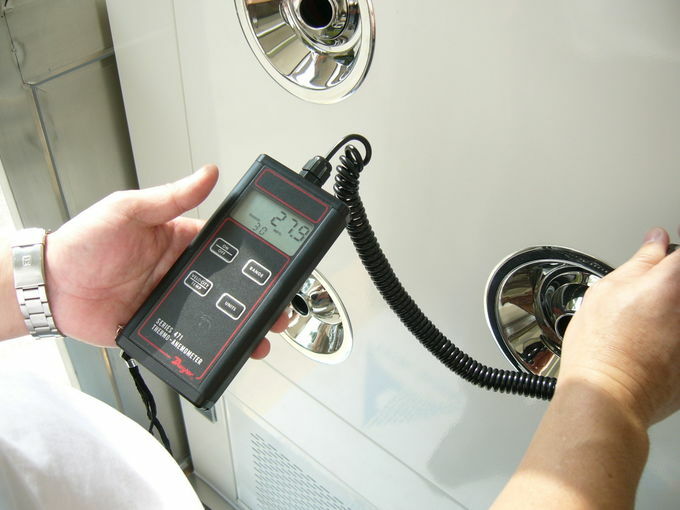 Automatic sliding door cargo air shower with two doors electronic interlock so also played "gas chamber” effect, to prevent outside contamination and has not been purified air into the clean area.